2 // Stella McCartney 'POP' - I love this perfume! It's a mix of tuberose with scandalwood. I'd say this is a more sweet and fruity perfume and a scent that lasts all day, I never need to respray. 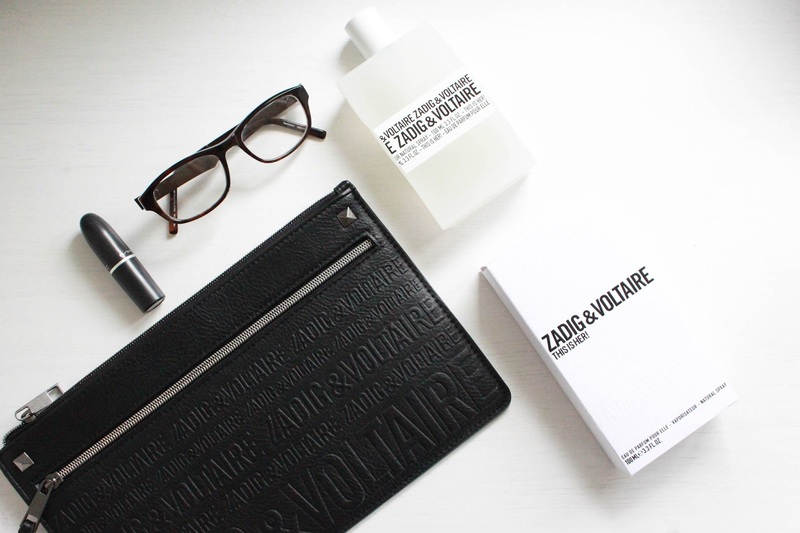 It reminds me of a more summery scent but it can definitely be worn on a daily basis as it isn't too strong. It has a musky undertone which doesn't make it too sickly. 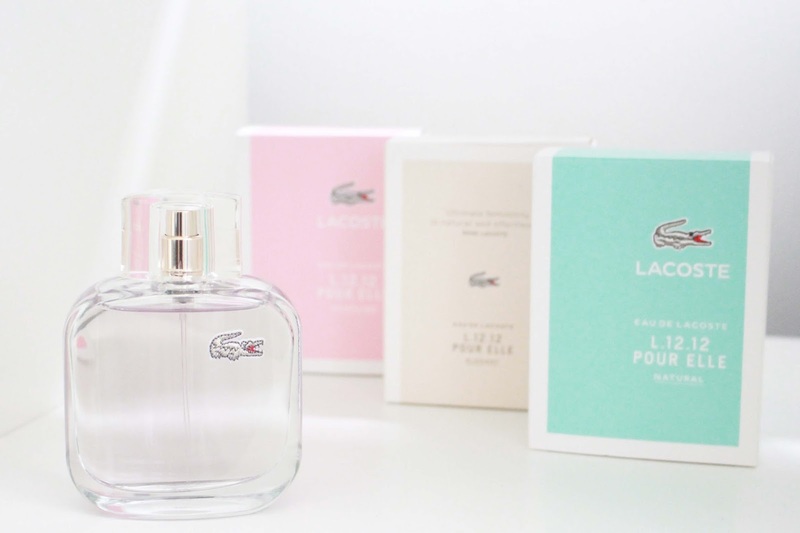 3 // Lacoste 'Pour Elle' collection - I was kindly sent the full collection to celebrate the launch of Fragrance Direct on UniDays - yay! The pink bottle is 'Sparkling' and has a mix of macarons, jasmine and patchouli. The blue bottle is 'Natural' which is opris, jasmine and coconut and the last bottle is 'Elegant' which is mimosa, jasmine and vetiver (my favourite one!). Don't forget you can get an extra 10% off at Fragrance Direct through UniDays!